We had great 2011 and 2012 AMV contests. Let's now throw the energy into the 2013 contest! So - start off with the poll about categories. Which category do you think THE WHOLE CROWD liked BEST. Next, what about the length of the contest? We had SEVEN categories this time, and that made for a fairly long contest. We actually ran over into the next block and I do NOT want that EVER to happen again. It cut into the Slants set-up time, and we don't want to put the next event in MAIN into jeopardy. I apologized to Jackie about this and we will switch back to moving the contest to kick-off much sooner into the time block, then have a buffer playlist of runner-ups after the contest to keep the room active but that we can axe at the end of the time block. Do we want to retire a category (give it a rest for one year) and either invent something all-NEW or bring back other categories we have run before? Upbeat/Dance/Fun In one year, it was called "Genki." You get the point. Setting of the anime in time or place: I ran this constraint off and on over the years. It could mean that the anime must be setting in a time period such as Jidaigekki, or a cut-off year, or we also once asked that the setting was Japan. We can call for settings in space, or "the future as depicted in anime," or "must include snow," or whatever. With the 20th cenbtury fading into history, a category like "20th Century Anime and Music" might be challenging and may replace Retro for one year. Another idea: Fold up Effects into Intensity? Intensity grew out of the older Action category, which at one time even ran as Action & Effects, so they've been together before. Intensity arose out of trying to sift the Drama category so as to keep the driving, hard-hitting themes, while filtering out the long, boring angst/emo relationship-based sludge that most of the audience found BORING. I think that folding Intensity/Effects could be a good idea; most of the best Action/Intensity AMVs have strong elements of Effects anyway. Also, I'm surprised to be calling for its return but I feel like Upbeat/Genki should be brought back. I never felt especially attached to the category in prior years but this year while I was watching the contest I thought "Genki would've really stood out this year." Also, I personally feel that "Not What This Anime Is About" proved to be too difficult to judge: the AMVs in the category mostly ranged from "this is EXACTLY what is happening in this arc of this anime" to AMVs that really should've been in Comedy or Effects; I felt like the cross-over entries especially failed to trick the audience into thinking they were one anime (which would've been an insane feat, really) and really would've worked better in Effects. My last comment, and I'm really not sure what to do with this, is that a divide seems to have formed between the interests of the average con-goer and the judges. I may be overly simplifying things but I feel that clever, strong concept AMVs are almost always what the audience is looking for (in that these are the vids that get the loudest applause, are talked about later around the con and online, and ultimately win categories). In contrast, over the last few years the AMV crowd in general (and with it our judges) seem increasingly focused on high resolution, well-executed special effects vids. I'm not just basing this statement on the direction the contest has taken, I've also heard this in my conversations with judges and other people in the hobby. I certainly do not mean to put the value of one of these types over the other and I especially do not mean to offend anyone involved with judging, I just wonder if the contest could be more accessible/crowd pleasing if we cherry-picked the best of the best of the high-tech artsy videos and then focused on videos with peculiar or accessible concepts. To put this as bluntly as possible: I don't think people who aren't in the hobby tend to care or even really notice whether a video has been ripped from blu-ray or has the most cutting edge special effects. The way things seemed to work when I got into this hobby was that high-tech AMVs swept through internet contests while concept videos competed in convention contests; that way there was room for both. On a similar, somewhat tangential note, I think it would be good to move away from internet memes being the crux of our Comedy; each year meme AMVs seem to be more and more poorly received. a. "Combining Intensity/Effects could be a good idea"
Definitely possible, depending on the whole mix of categories. b. "Upbeat/Genki should be brought back"
before and it's a workable category. Editors know what to aim for. c. "'Not What This Anime Is About' proved to be too difficult to judge"
to the effectiveness of story being told. pull a sub-set set of their faves and let the audience crown it. other contender are more beautifully drawn than Homestuck. our Comedy; each year meme AMVs seem to be more and more poorly received." beaten to death already. Oh, and please no CHAIR AMVs either, OK?" So this is unlikely to be repeated in any case. difficult for a non-English speaker to make a Trailer AMV for our audience. it and most of them cannot be bothered to read English subtitles. AS part of the audience, Not What This Anime Is About' did not work for me because I was not familiar with the anime used to say not what this anime is about. Now as for twilight, I found annoying but there is a lesson in competing in a audience judged contest. Just like how I with a poorly constructed Hello kitty in a burka beat out a master costumer at a plushie costume contest: reaching an audience can beat out technical excellence. First off-- Thanks for responding so positively! I was worried that post was going to come off more critically than I meant it to; I feel like we have a high tier contest and I'm pleased that we are constantly trying new things to make an even better contest. c. We may need to look at tuning the definition of [Not What This Anime Is About] and also renaming it. My primary concern with this category (and I want to be clear, it's an interesting concept and I'd like to see it pulled off) is that it is kind of by definition really really hard to enforce. The chances of there being a judge that is completely familiar with the source for every submission are low but the chances of there being at least one person in the audience is pretty high. I think that there might be a creative way to make this concept work but I haven't come up with one yet, I will keep thinking though, my vote is that it is way too early to give up on it... If we do run it again I actually really liked the name someone joked about last year on the forums-- "Not Exactly Kanon". I think that the worry that the audience trends towards voting for popular series over good videos is valid but something that editors have always had to deal with. Unfortunately, I don't think there's a very objective way to screen fan-service. Contests are almost always won by the best mix of concept and fan-service (I think a positive example of this is TCL's "Who Needs A King"... the anime was extremely popular, the audio has a lot of recognition, but ultimately it worked because it was a GOOD video). Did the Twilight review feel cheap? Yes, unfortunately. But I don't know that there's a fair way to screen for that other than the judge's asking "does this AMV enhance its sources or does it rely on their merits?" and screening accordingly. I have to agree with what has been said about "not what the anime is about" category this year. It can be very difficult to determine if they are doing it correctly or not. Especially when someone has started mixing the animes together. This is partly due to their is a lot of freaking anime out now. I know that I personally haven't seen nearly as much as I would like to of seen. With that being said, I wonder if we merged "not what the anime is about" with retro as a lot of the older anime's people tend to be a more familiar with. Just a thought to consider. I would like to say as one of the judges I am not offended by this statement. At the same time I would like to point out that Ultima Showdown took best in show. This particular AMV has some lower quality footage in it. However it was the best the editor could due because of the source footage. I can say that when I personally am watching the AMV's as a judge one of the things I look at is the age of the footage. If the footage is 2007 or newer their is no reason that you shouldn't be able to produce a Netflix quality video. At the same time when we get a video that doesn't meet that kind of quality standards we also tend to see video cuts not being done on the beat or their is nothing going on in the AMV. It looks like just a bunch of pictures thrown together. This is one of the things that I personally look at in the contest. We have to consider that we will not be the only one's watching these. We are trying to put together a show for everyone to enjoy and it is hard to say what every single person will or will not like. The goal is to produce a show that has something for everyone. We do thank you for your feedback. I will keep some of these things in mind for future AMV works. A rare thing has happened! The angryginger00 has posted a message here. OK here is a first draft pass at the 2013 AMV Contest! - Comedy/Parody (A more conventional definition but with a challenging little twist: Gotta keep it Rated 'G'! b) Instead of Effects as a category, I am proposing a special prize of MASTER of TECHNICAL EFFECTS, an additional prize selected by the judges. 1) I agree with comments on "Not what the Anime is About". I personally enjoy AMVs of that type when I know the anime, but 2012's entries were... sometimes subtle (and that doesn't even count the ones that we judges left out). 2) I don't think judges favor technical excellence over concept, but we might be unusual in liking to have both. I judge AMVs the same way I judge beer: As a baseline I want a technically flawless product, but then I want something interesting from the recipe on top of that. I don't want skunked barleywine, nor do I want flawless Budweiser (unless I am judging the industrial mega-lager category; we dropped emo-drama, so we don't have that analog, thank goodness). Another analogy is judging writing: A great plot can be ruined by bad grammar and egregious malapropisms. 3) I'd like to suggest a crystallization of the Retro category. Instead of sliding years, I suggest that the anime sources be cell-animation only, regardless of age. That definition need never change again. I offer that because cell-animation has a texture that says "retro" to me, even if it last year's "Redline". Pick a date for source audio that corresponds to when anime started or mostly changed-over to digital animation, and then we can freeze that too. 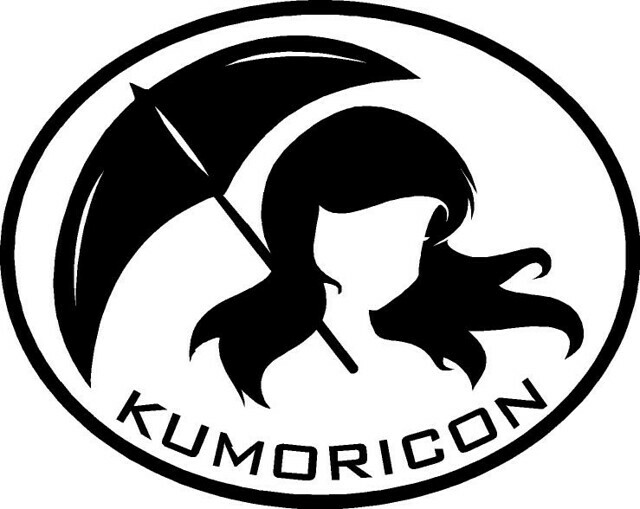 How about the audio must be older than Kumoricon? Okay, if everyone hates that idea, just say so gently and I'll bin it. 4) I'd like to see a category for AMVs featuring superimposed text. Like AMVs that illustrate crisp, entertaining lyrics, AMVs with carefully measured and timed text come alive with meaning. For the many anime fans accustomed to speed-reading fan-subs, a text-enhanced AMV category should be easy watching (as well as novel and entertaining). If it's too late to incorporate these thoughts for 2013, please keep them for 2014. Jeff uses the phrase "we" and "judges" in the present tense as if this is a standing or permanent position. Not true. In the past he has been on several Kumoricon AMV judges panels. However, I must state that no one's past participation in AMV judging is any guarantee of future selection for the 2013 panel or any other contests I may coordinate. I must state this because it is imperative that the identities of judges for the upcoming contests remain UNKNOWN by the general public, lest aspiring competitors attempt to contact them and discuss or disclose the works in progress, works they have submitted, or otherwise taint the process by collusion. Therefore, at this time Jeff is NOT necessarily going to be a judge for the 2013 contest. Nor will he necessarily NOT be a judge for this upcoming year. In any case, please do not BUG him about what may or may not be preferred for the 2013 contest. Next, about the "crystalization" of the Retro category, Jeff's idea is similar to what happened to the term "oldies" to describe music a particular fixed era in time, rather than a certain number of years past a "best if used by" date. When the term arose in the 70s I remember hoping that the term would indeed move forward in time, forcing the Baby Boomers to admit that they and their music are OLD / OVER THE HILL / etc. I still prefer the "today's date minus [n] years" definition; it happens to be one rule of how ATF(E) classifies firearms as 'relics': 50 years older than today's date. Same thing with 'antique' plates on cars. Sooner or later a Porsche 924 WILL be an ANTIQUE CAR. And by golly I cannot wait to call Alanis Morissette an OLDIE. Superimposed text is very common in Japanese fan-made M@Ds, especially coupled with using digital effects to move and morph still images. Of course the 'text' in this case tends to be Japanese kanji. M@D style AMVs have come in from time to time; they are also often made from design DVDs, artbooks and manga images. SO sometimes they are not even referencing ANIME (Japanese animation) even though they ARE admissible to this contest in that their visual components are derived from Japanese visual arts. Mea culpa, that was sloppy phrasing on my part! I happened to be a helper in 2012, but I've missed more years than I have judged (the panel usually conflicts with the Oregon Brewers' Festival for which I volunteer every year). Next, about the "crystalization" of the Retro category, Jeff's idea is similar to what happened to the term "oldies" to describe music a particular fixed era in time, rather than a certain number of years past a "best if used by" date. Indeed, the label seems to have stuck to the recording tech of a certain time, which was before multi-track mixing and mostly before stereo as well. Therefore, the "oldies" music genre followed a recording quality rather than a fixed number of years in the past. When the term arose in the 70s I remember hoping that the term would indeed move forward in time, forcing the Baby Boomers to admit that they and their music are OLD / OVER THE HILL / etc. Boomers use euphemisms like "classic rock" to describe rock & roll in the first decade or so of multi-track stereo production. If anyone wants to make fun of them and decrepit rockers like the Rolling Stones, then start using your thesaurus to coin phrases like "venerable rock", "ancient rock" or "relic & roll"
Okay. In that case, I would request that submissions in that category list source titles so it's easier to verify ages. It would save the judges from some head-scratching. Superimposed text is very common in Japanese fan-made M@Ds, especially coupled with using digital effects to move and morph still images. Of course the 'test' in this case tends to be Japanese kanji. M@D style AMVs have come in from time to time; they are also often made from design DVDs, artbooks and manga images. SO sometimes they are not even referencing ANIME (Japanese animation) even though they ARE admissible to this contest in that their visual components are derived from Japanese visual arts. Very cool. Then maybe a category for text-supported AMVs would work someday. I wonder if the category rule could be as simple as "The text must be placed by the AMV editor, not part of source material (e.g. fan-subbing)." Re: KICK OFF Category Discussion for 2013 - WE are GO - Lock this Thread! You may lock this thread as further discussion is closed.